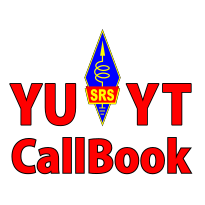 This callbook presents information about licensed amateur radio call signs in Serbia. It covers personal licenses, licenses of radio-clubs and licenses of repeaters. Special call signs are not included in this database. Database is official, published by administration of SRS - Amateur radio Union of Serbia.. If you need more info about call or want to send corrections and updates, contact SRS administration. This site is produced, developed and maintained by YT9TP.